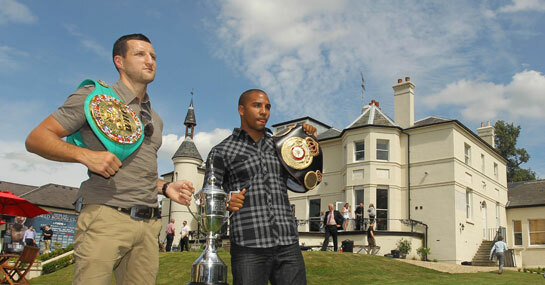 Carl Froch is in no denial as to the size of the task ahead of him at Boardwalk Hall, Atlantic City on Saturday night. The Nottingham-born fighter will be the first to admit that his opponent Andre Ward is a far superior technical fighter than him, but that does not necessarily mean he is a better boxer. Keeping this in mind, Froch will know that his best chances of winning the fight will come with him making it a brawl, rather than a tactical slugfest. Also aware of the controversy that often surrounds points decisions when fighting in the opposition’s home country, Froch will be desperate to leave the judges in no doubt by knocking out former Olympian Ward. Froch is 9/1 to win the fight via KO, TKO or disqualification and this looks a generous price. Having been very outspoken recently with regards to the underhand he feels Ward employs, and with a greater punching power than his opponent, these odds look good for a fighter who has 20 knockouts in 29 professional fights. Ward is previously undefeated and has won half of his 26 pro bouts via KO or TKO, and the American is 8/1 to win by the aforementioned methods. It is believed that Froch has got under his skin with his pre-fight comments however, and if the 34-year-old Englishman can draw Ward into the type of fight he wants to, he could be the first man to dispose of him. Stamina and a sheer lion-heart spirit have been massive factors in Froch’s success and it could be worth backing him to finish his opponent off late as he has done in previous high profile fights. Froch is a big 22/1 to win in rounds 10-12 inclusive, but braver punters could be tempted to take advantage of the 50/1 on offer for him to win in the 12th round, as he did when successfully defending his WBC super-middleweight title against Jermain Taylor.